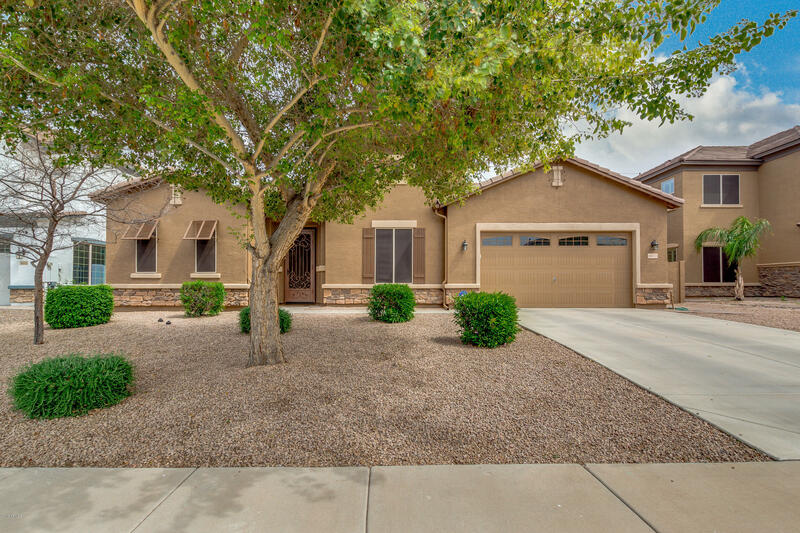 All SEVILLE PARCEL 38B homes currently listed for sale in Gilbert as of 04/22/2019 are shown below. You can change the search criteria at any time by pressing the 'Change Search' button below. "Your search starts and ends with this modelesque home! Masterful design and luxury are uniquely embodied in this 4 bedroom 3.5 bath 2 story home with 4,400 SF of living space! Upon entering this home you are greeted with soft paint palettes, high end plush carpeting and plantation shutters. The living space showcases a cozy fireplace and an amazing built in entertainment center! 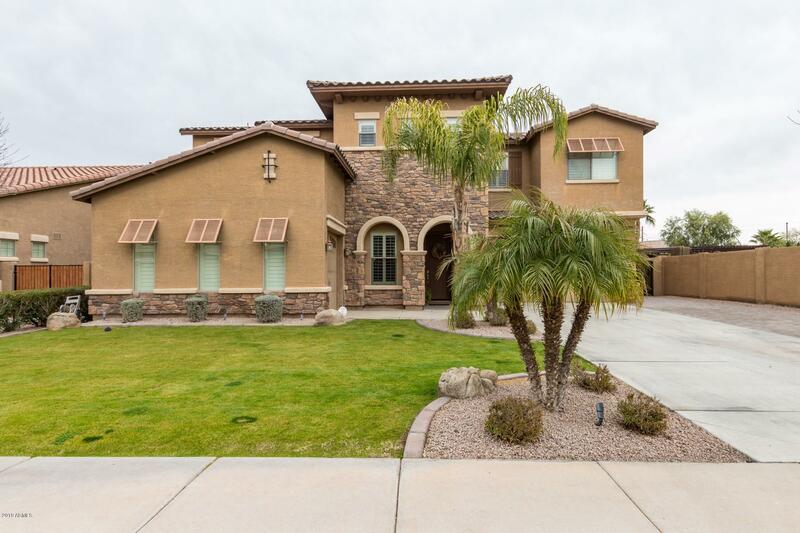 The island kitchen boasts granite countertops, plant shelving, SS appliances, tiled backsplash, dual sinks, walk in pa"
"Come and see this spacious, family home with 4 bed, 3.5 bath, 3 car garage for sale in popular Gilbert Seville community! Private lot with no homes behind. This home boasts grande living areas, a cozy loft, huge movie room (your new fav room), fireplace, wet bar, over size bedrooms w/ attached bathrooms and much more! The fabulous kitchen has ample cabinetry with granite galore, walk in pantry, black diamond appliances, and large island with a breakfast bar. Inside the grandiose master bedroom "
"Enjoy mountain views from your resort style pool w built in spa & waterfall. Extra large lot features grassy area to practice all of your sports & RV gate to store all of your toys.This home has it all! 4 bedrooms, 3.5 bathrooms, loft, bonus room/game room/office & an additional sitting area in front to unwind & relax in. Gourmet kitchen boasts granite countertops w a large island/breakfast bar, walk in pantry and stainless steel appliances. 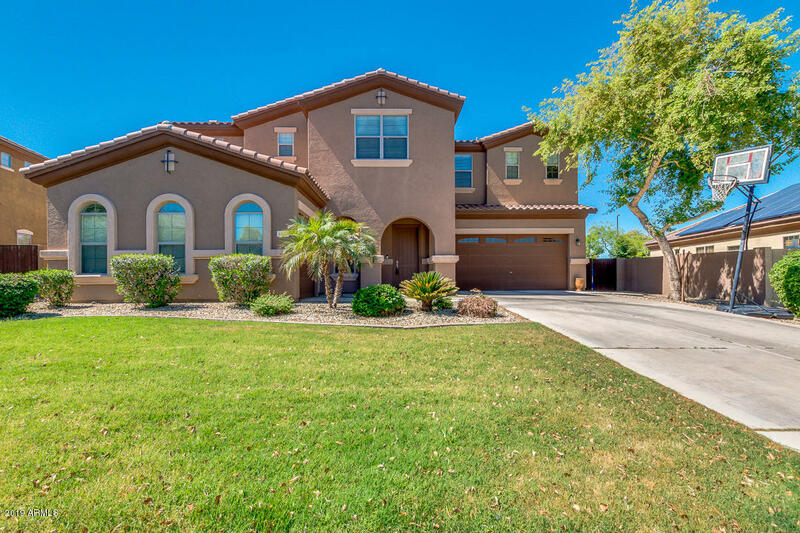 Master bath has seperate shower, sunken tub & his & he"
"Amazing residence in Gilbert located in the fantastic Granada at Seville community! 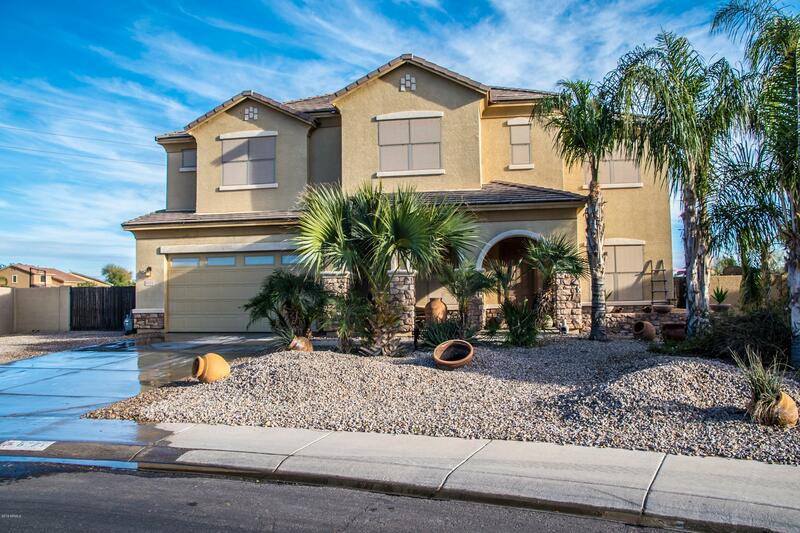 Home features 4 bed, 3 bath, 3 car garage & RV gate. Perfect layout for everyday living & entertaining. Fabulous interior boasts custom paint, tile flooring throughout, formal living & dining rooms, plantation shutters, den w' built-ins & spacious family room. Gourmet kitchen features stainless steel appliances, staggered cabinets, extended buffet, granite countertops, pantry & island w' breakfast bar. Large mast"